MCM menu for some of my modifications. - Blood Transfusion price in the 'Really Simple Follower Tweaks'. - Added option to add cell exceptions in 'More Punishable Crimes' (no vagrancy in that cell). 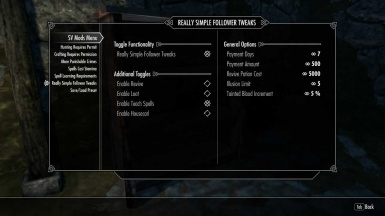 - Updated 'Really Simple Follower Tweaks' in the merged option. 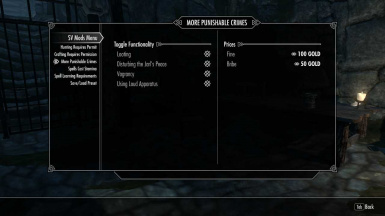 - Updated 'More Punishable Crimes' in the merged option. 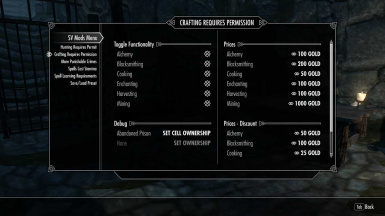 Make sure you are not using any crafting apparatus. 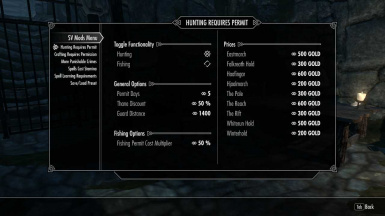 - Deactivating a mod in the MCM will now hide other options for that mod. - Added 'Really Simple Follower Tweaks'. - Relinker wasn't able to change certain strings. 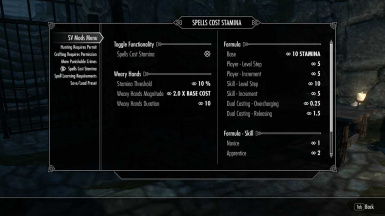 - Changes made to 'Spells Cost Stamina' didn't apply. 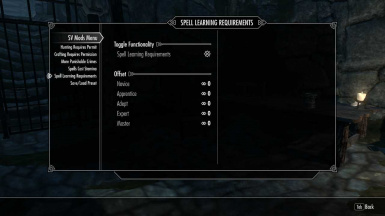 If you share my vision of what TES:V Skyrim should've been, you are going to like this. 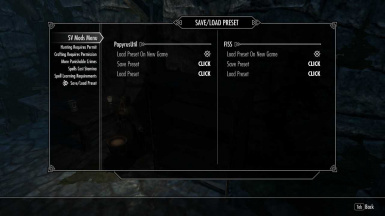 Load/Save Presets Using FISS 1.21+ or PapyrusUtil 3.2+. Merged version of all these mods + MCM in one file. WAIT... WHAT THE HECK IS THIS? Let's say you've uploaded 5 modifications to this website, and all of them are more-or-less in dire need of configuration. Let's say you've noticed same people gravitate towards your modifications, and thought you should make it easier for them to use said modifications. Let's say you don't want to create and then maintain 5 different MCM's, but you want to make one MCM to control them all, because it is a lot easier to create and maintain.